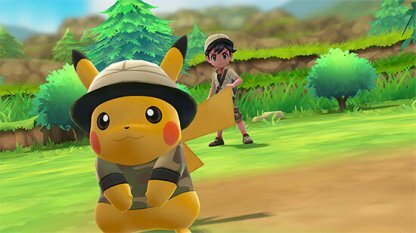 Read this Pokemon Let's Go Pikachu / Eevee guide to know more about candies, the different types and effects, plus where and how to get candies in-game! 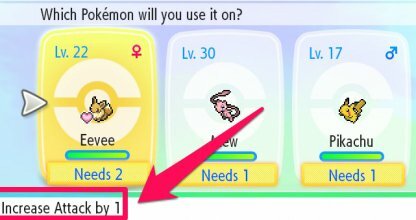 If you capture the same Pokemon repeatedly, you'll get a "Combo Bonus" - this increases both your Exp. 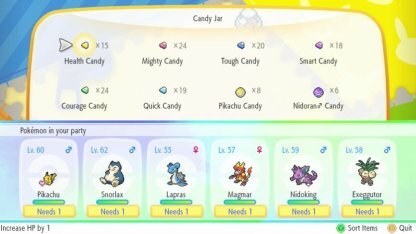 points and the amount of candy you gain! 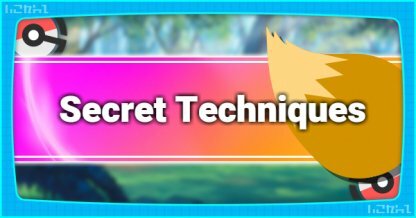 Check Out Tips & Tricks To Catch Pokemon! 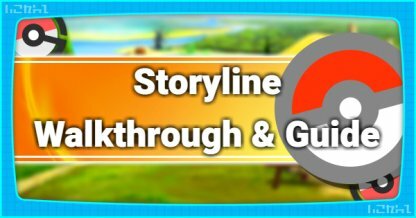 Keep catching the same Pokemon to increase the number of candies you'll receive as a bonus. 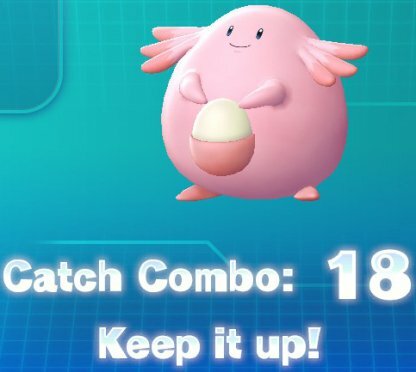 Capturing more of the same Pokemon in a row will directly affect the size of the candies you'll receive. 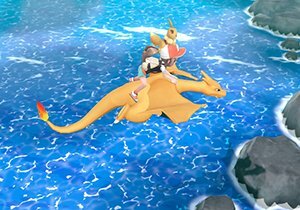 If you go for a stroll with a Pokemon in your Poke Ball Plus, you'll receive massive amounts of Exp. plus tons of different candies. 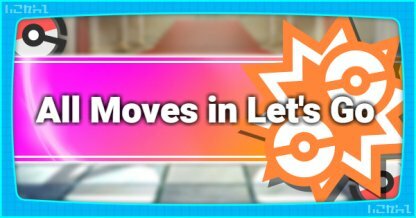 Check Out Poke Ball Plus Here! 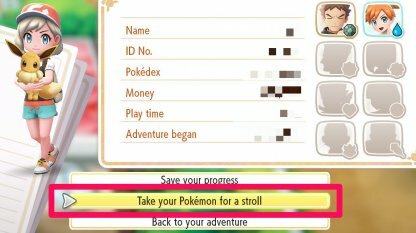 Open "Save" from the menu and choose "Take Pokemon For A Stroll". 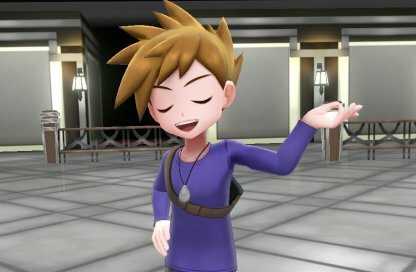 Connect your Poke Ball Plus to your Switch & then choose the Pokemon you want to put inside the Poke Ball Plus. 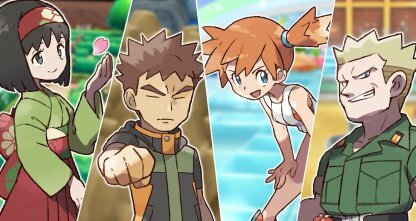 One way to earn Pokemon Candy is to play games available at the Play Yard of the GO Park complex. 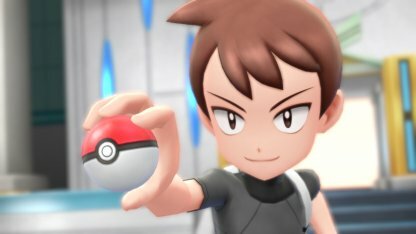 Check Out GO Park Info Here! 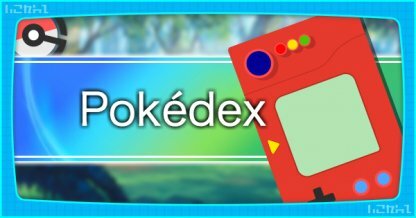 You will also receive Pokemon Candies from Professor Oak if you transfer Pokemon to him. 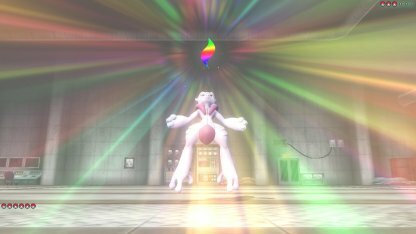 If you caught any excess Pokemon, be sure to turn it over to him for some candies! 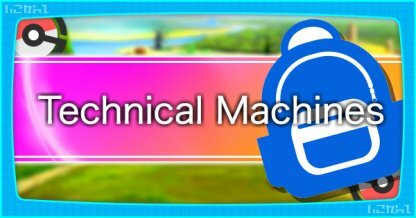 There are 6 types of Pokemon Candies that can permanently boost your Pokemon's statistics such as HP, Attack, Speed, Defense, and more! 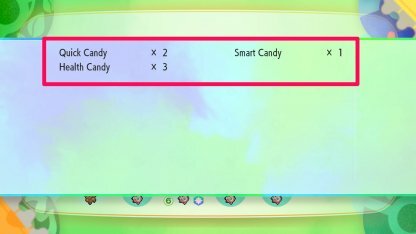 There are 3 different sizes of candies - standard, L, and XL. 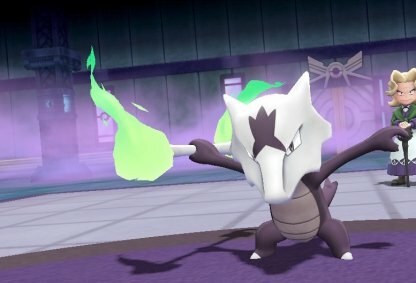 L is for Pokemon Lv. 30 and above while XL candies are for Lv. 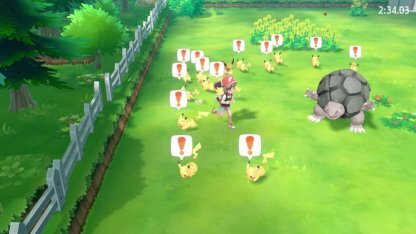 60 Pokemon and above. 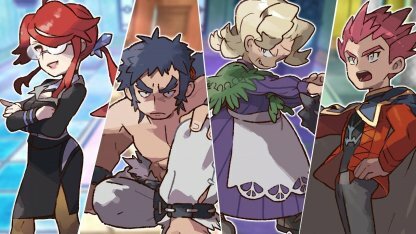 After some time, your Pokemon will want more candy. 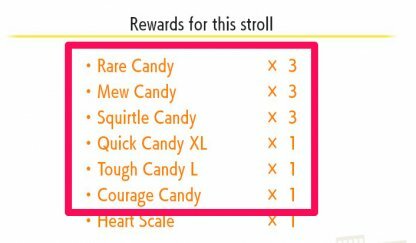 The more candy you feet them, the higher amount they'll need after each time. 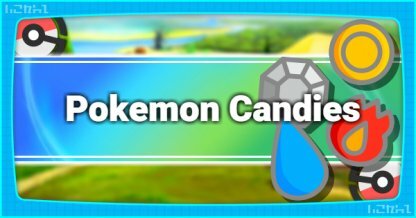 Candies are treats that you can give to your Pokemon to increase their statistics, depending how you want to grow your Pokemon. 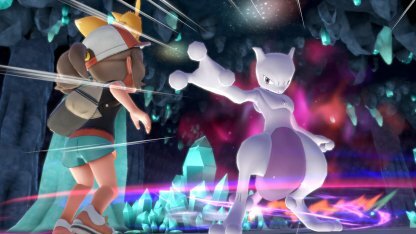 There are many different candies in Pokemon Let's Go Pikachu / Eevee and they all affect a specific type of statistic. 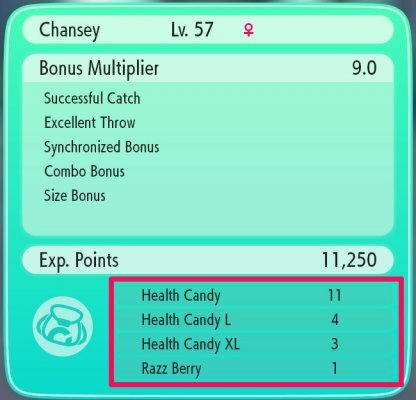 Mighty Candy increases Attack while Health Candy raises HP, and etc. 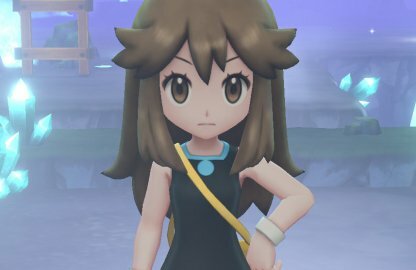 Candies in Pokemon Let's Go Pikachu / Eevee are the system's replacement for Effort Values. 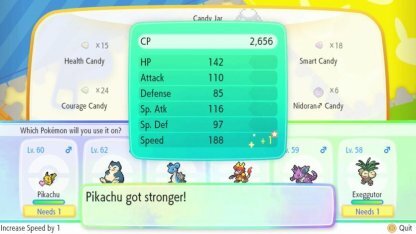 You can use Candies to boost a certain stat of your Pokemon instead of defeating other Pokemon.